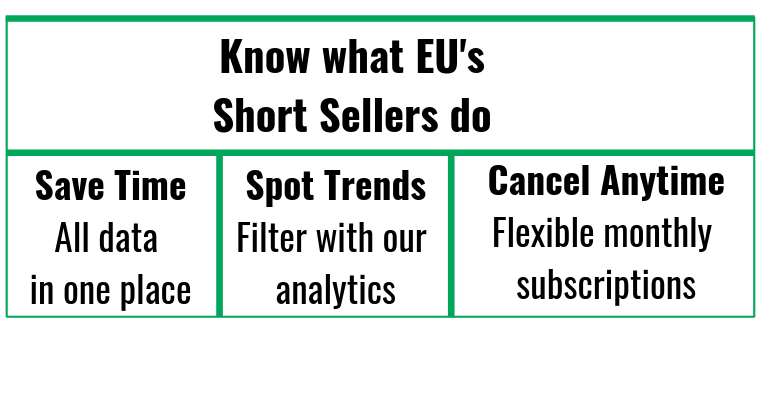 What is Weiss Multi-Strategy Advisers LLC shorting in Europe? Up to now, we have cleaned and processed 2 short positions of Weiss Multi-Strategy Advisers LLC. Our short selling records for Weiss Multi-Strategy Advisers LLC start on 2017-09-07 and are updated with the latest short interest disclosures.